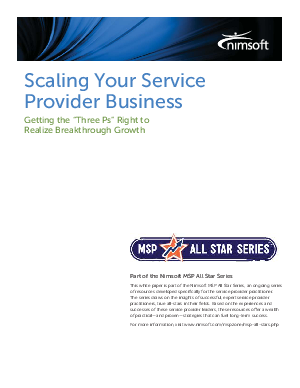 While some service providers have enjoyed dramatic growth in recent years, many more have not. What's made the difference? In short, three things: people, process, and products. Read this white paper and get proven strategies and approaches for getting all three right. Based on the lessons of veteran service provider executives, this paper offers specific guidelines service providers can implement to boost their chances for success.